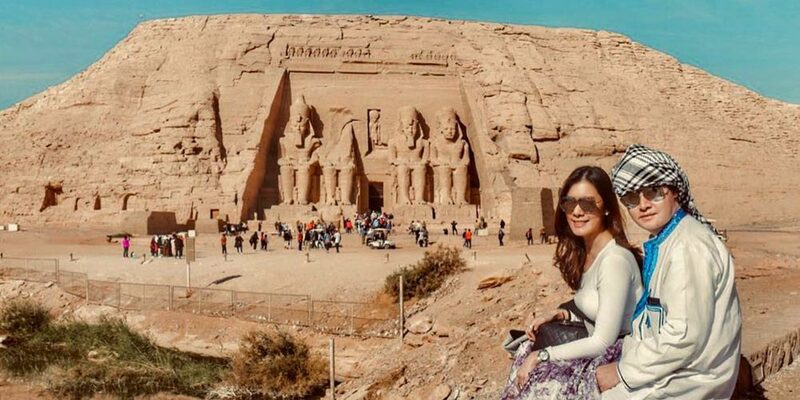 Enjoy the best private tour to the two temples of Abu Simbel with a deft Egyptologist tour guide through which you’ll spend a majestic day discovering the hidden secrets of the ancients in addition to finding out all about the history of such an attractive historical place, All of what you need is exist on a day trip to Abu Simbel from Cairo by Plane, just book us now!!! The beauty of Egypt cannot be measured or quantified by any means. The video does a great job of reflecting the enchanting immortal wonders of Egypt but nothing beats the real thing. Listen to the true calling of destiny and cast your eyes on the purest definitions of ancient, allure and natural. Pick up – Drop off point: Your Hotel in Cairo. It is time to visit other attractions besides those great ones in Cairo and that is why we prepared a special one for you through which you’ll be picked up from your hotel in Cairo to head with a private air-conditioned vehicle to Cairo Airport then catch your flight to Aswan. 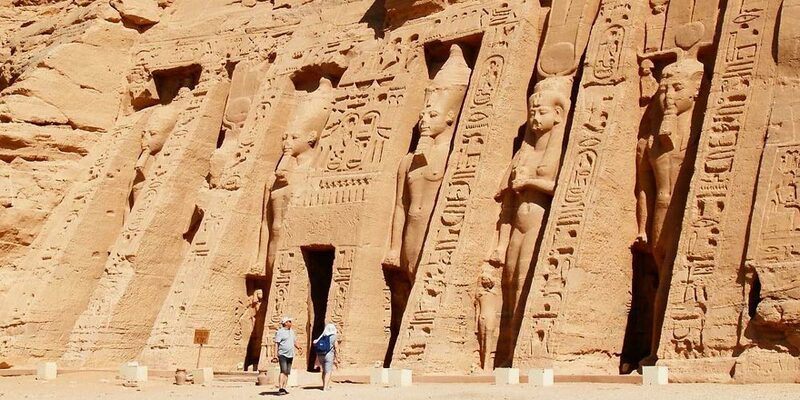 Upon arrival to Aswan, our professional representative will meet and assist you to finish your formalities at the airport and then you’ll meet your tour guide who will take you in an unforgettable day trip to Abu Simbel from Cairo. 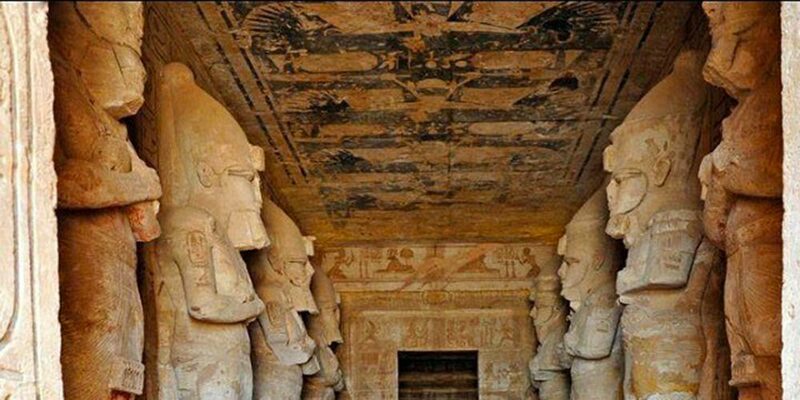 Inside this majestic place, you’ll hear the whole story about the amazing Pharaoh King Ramses II who built the great temple of Abu Simbel to commemorate his victory in a great battle of Kadesh. Then, you’ll visit the smaller temple that is dedicated to the beloved of Ramesses “Nafertari”. Your tour guide will help you to catch your flight from Aswan airport to get back to Cairo where our representative will meet you again to transfer you to a private A.C. vehicle to your hotel in Cairo. 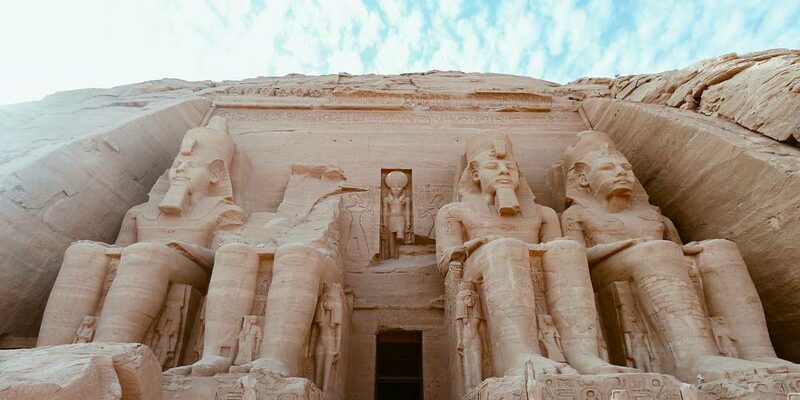 It is no doubt a great opportunity that can't be missed through booking a magical trip to Abu Simbel from Cairo. Note: If you didn't find what you are looking, then check our Cairo day tours and choose your trip. Any extras that have not been mentioned in the itinerary. Can't find your dreams tour? No problem, contact us now and we'll arrange you an unforgettable tour.